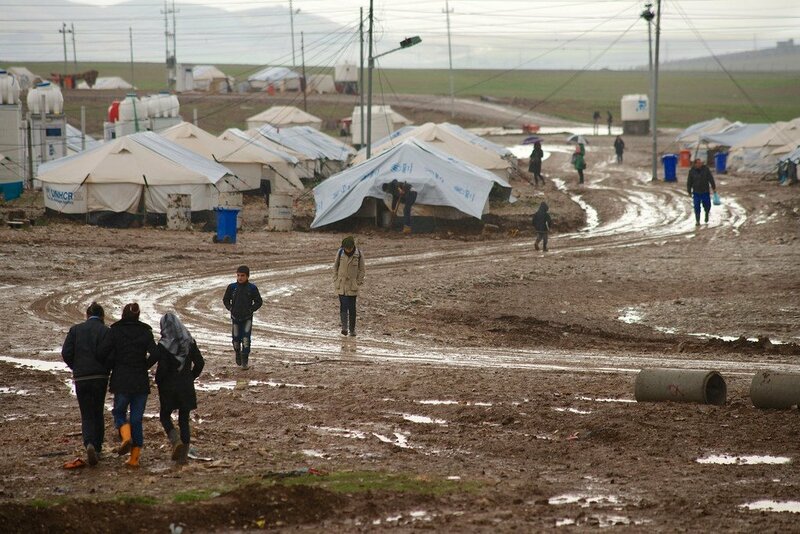 UNICEF/Noorani In this file photograph, children at a refugee camp in Suleimaniyah, northern Iraq, walk to their school, along a muddy path on a cold, rainy winter day. The United Nations Children’s Fund (UNICEF) has ramped up efforts to provide warm clothes and life-saving supplies to more than 150,000 displaced children across northern Iraq whose lives are threatened by freezing temperatures. In October, the Nobel Committee announced the awarding of its 2018 Peace Prize to Ms. Murad, and Dr. Denis Mukwege of the Democratic Republic of the Congo for his work helping victims of sexual violence in the central African nation. They received their award on Monday in the Norwegian capital, Oslo.